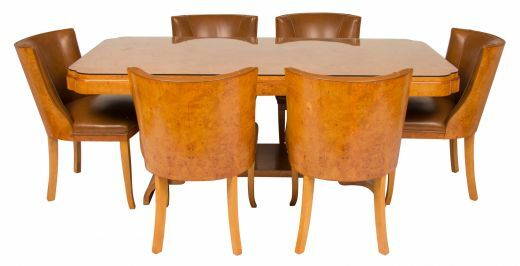 Art deco dining table and six chairs by Harry and Lou Epstein. 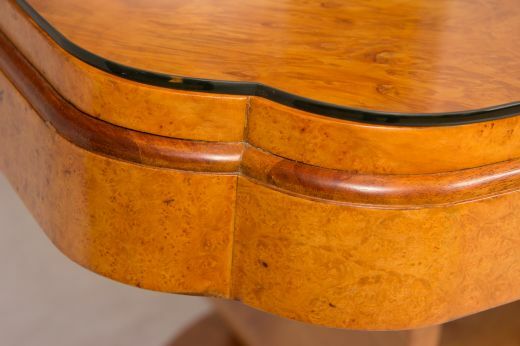 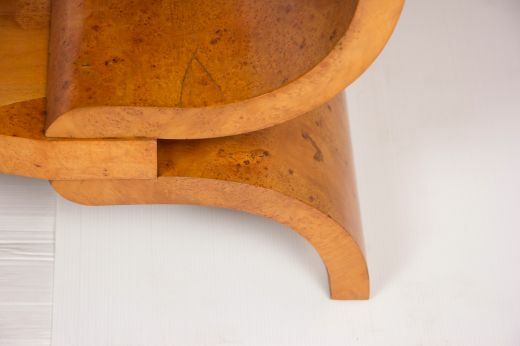 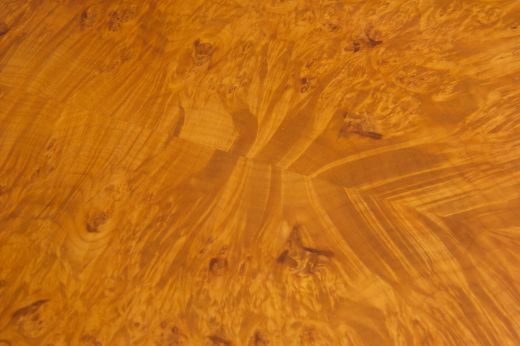 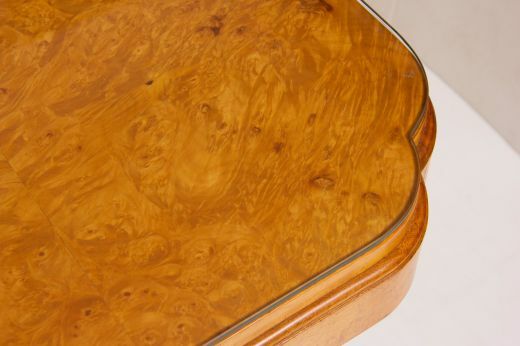 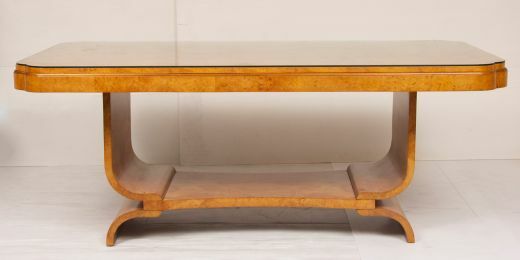 stunning birds eye maple to this fine Art deco dining set. 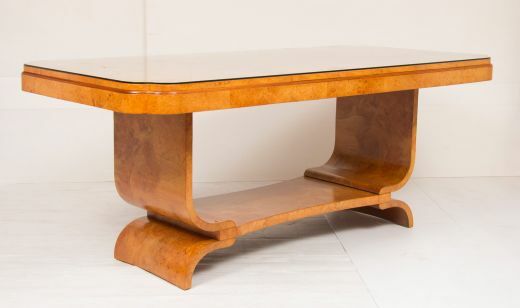 the table with the art deco u shape base, the table top has a nice stepped edge and a plate glass top. 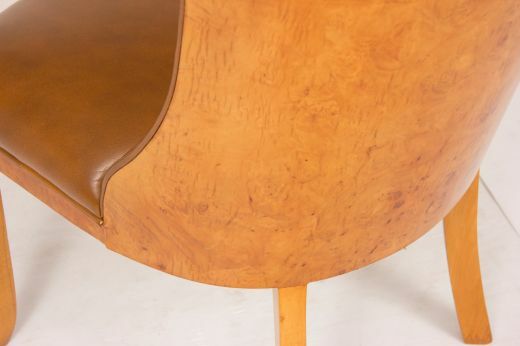 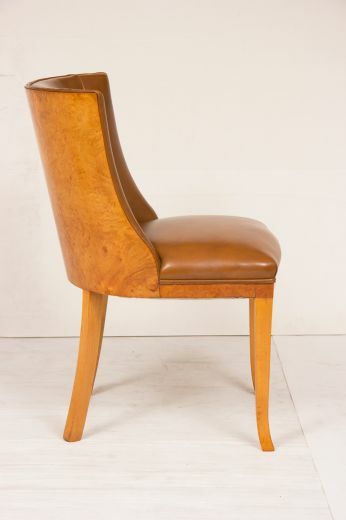 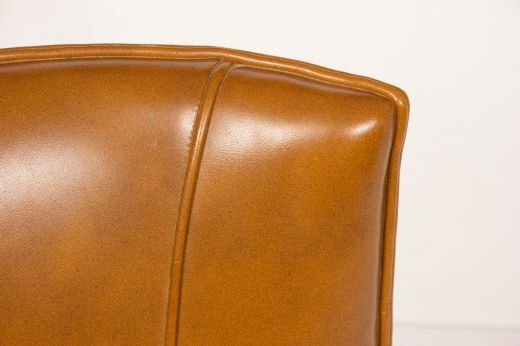 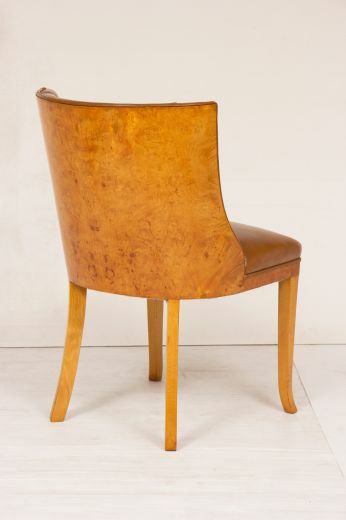 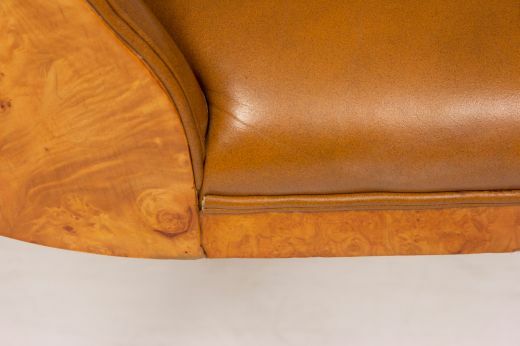 The chairs with very comfortable curve backs and tan leather upholstery.